As you will already be aware, we believe it is vital for children to have a greater understanding of how others live around the world, but it is also important that we give them an opportunity to do something practical to help bring about change. Through friends of ‘Our World’ we have been able to highlight several ‘Child Friendly’ projects that we have been able to support over the years. Being able to help make a difference to peoples’ lives and communities has given children a real sense of achievement; so let us introduce you to the countries we have been able to help. 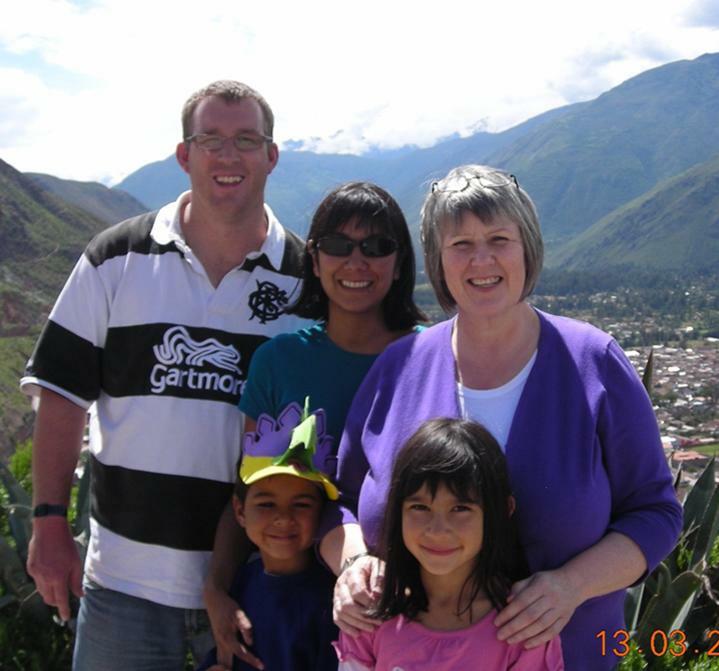 Rev Scott Williamson, his wife Dr Anjanette Williamson, Jessica and Sam have now returned to the UK after working in Cusco, Peru for several years. They were very busy running a church and helping people in need in the area. Anjanette was a doctor in a local clinic helping to provide medical help to those who could not afford to pay to see a doctor. Georgina Varney visited them in 2010 a few weeks after the area was recovering from terrible flooding - hundreds of people lost their homes, animals and crops. We have supported projects in Peru in a variety of ways by providing medical equipment for a new clinic being set up in Huambutio. Three thousand people live in the area and they have no medical help. The clinic will be working in the community to improve the health of people living there and we will continue to support the work. We have also supported an eye clinic by raising funds for eye operations and eye examinations for people who could not afford to pay for it. Dr Henson reminded us that the lives of ten people had been changed because of our help……this is what he said. My name is Nathan Henson and I am an Ophthalmologist in Peru and a friend of Dr. Anjanette Williamson. We received your very generous donation to help with the eye care and surgery for our very needy patients. This will be a very big help to us. We are so grateful and appreciate so much this amazing gift. Grace and peace to you all”. Stuart & Sarah Dendy work at ‘New Hope’ Uganda in the Luwero district. They manage ‘Hope Family’, a unit for babies whose parents have died or who have been unable to look after their children. Children in schools and Sunday school have raised money for the new baby house. This money helped to supply mosquito nets for the windows and door of the house along with paying for some of the walls around the building to keep the children safe. We have also provided baby clothes, play equipment, nappy liners and other items over the years. Our Christmas project for 2015 is to raise money for our friends at ‘New Hope’ so they can purchase gardening equipment for families at the unit and in the community. If you would like further information please go to our autumn newsletter page. We are also supporting Hosanna Primary School (right) in Kampala. This school has 850 students and Georgina visited them in 2012 and returned with the Head Teacher and a member of staff from of St Margaret’s Primary school, Great Barr in 2014.